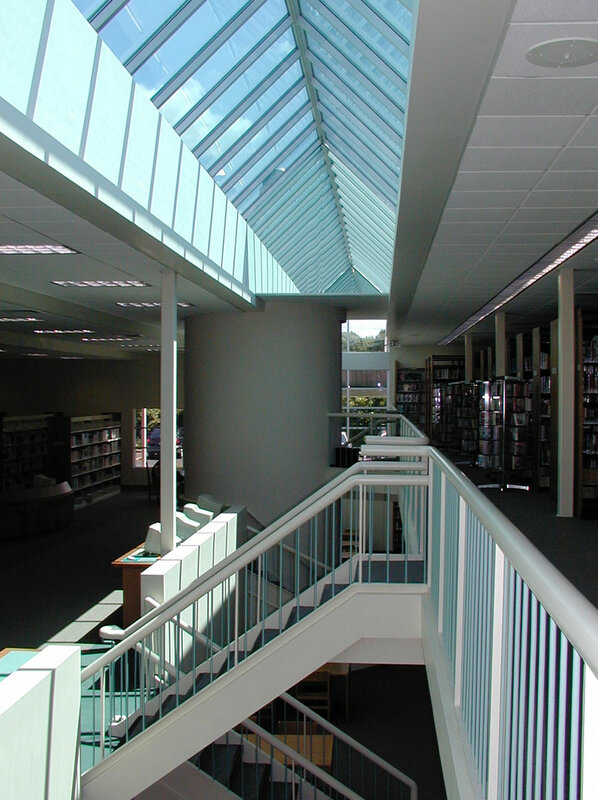 Completed in 1998, this project included a new addition and the complete renovation of the existing library. 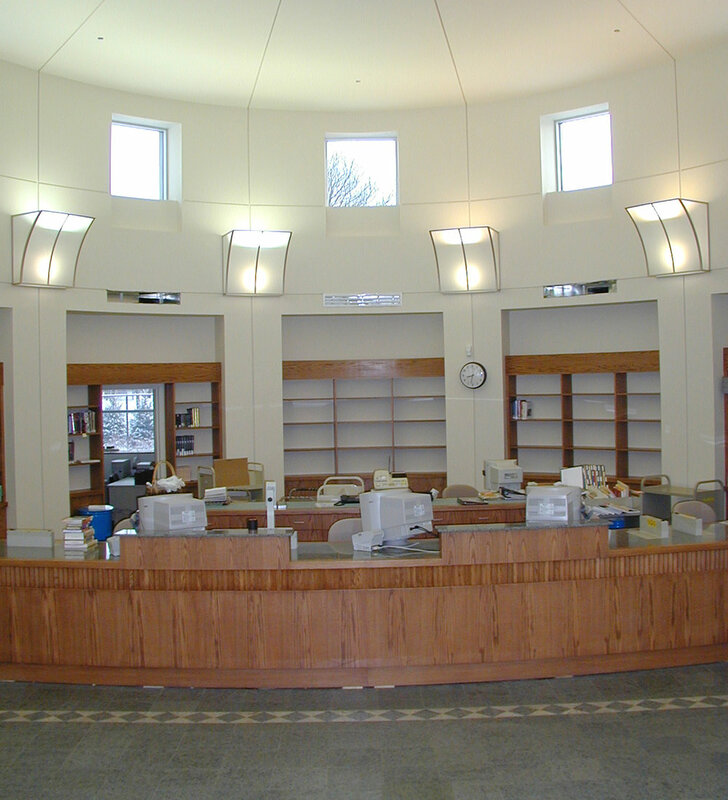 The addition includes a new 10,000 square foot children’s room, lobby/entrance and circulation department on the main foor with new meeting rooms, gallery and media department located in a lower level. 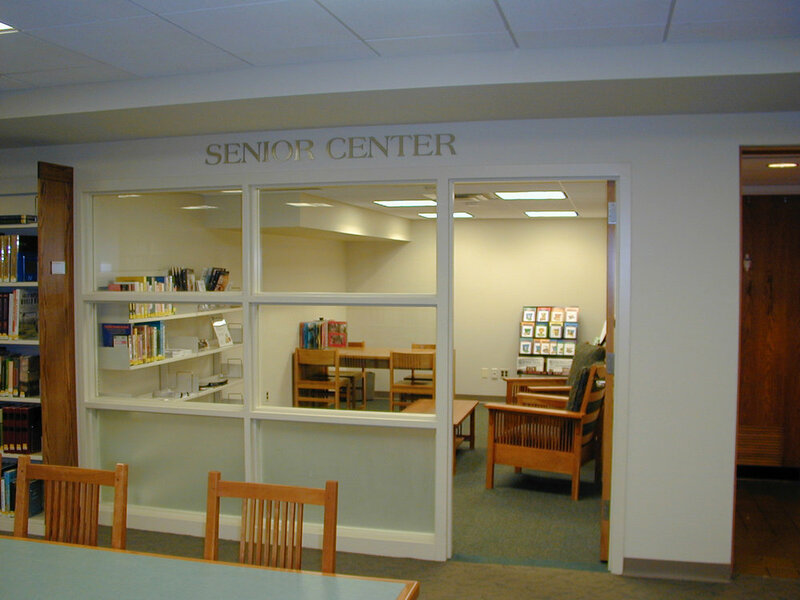 Te existing building was completely renovated creating a new adult services department with computer, more reading spaces, quiet study rooms, additional stacks and expanded support spaces plus an upgrade of the fre protection sprinklers. A meeting room for 250 and a café are just two of the amenities incorporated into this new facility.